You might be knowing that you can download and play Android apps and games on your computers and laptops. If you don’t know then here’s the good news. You can enjoy the Android applications on your computer, without you owning an Android device. For making this possible, you need an Android emulator that will help you run the applications on your PC or laptop. Here is one awesome tool that helps you run apps on your PC. Bluestacks is an app player that lets you run the applications and games, that you play on Android devices, on your computer and that too without any problems. Bluestacks App Player is an Android emulator that creates an suitable environment on your computer that helps in running Android apps and games on your computer. With Bluestacks, you can easily download all the latest games from the Android marketplace and play it on your computer or run all the apps on your computer. With the help of this software, you can easily enjoy all the apps and games on a bigger screen, i.e. your computer or your laptop. 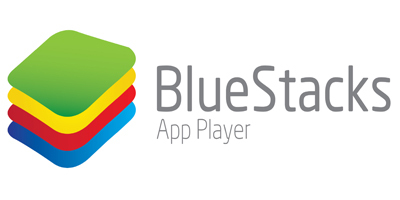 There are still other alternatives to Bluestacks App player like IntelAppUp and YouWave but considering the best one, it has to be Bluestacks and you can easily download Bluestacks App Player for Windows and Mac both. Downloading the Bluestacks App Player is too simple and easy and you won’t have to do anything tough to do it and start running it on your computer. To download Bluestacks App Player for Windows and Mac, all you have to do is go to the official site and select the platform, Windows or Mac OS X, and just hit the download button and your download will start. Once the software is downloaded, you just need to install it and once installed you will be able to start downloading the Android apps and games on your computer and play it right on the screen without any external tool attached. Hit the above link and from there you can easily download Bluestacks App Player for Windows and Mac. Download it, install it and get familiar with the interface and start playing the games and apps on your computer.